Have withdrawal pending for some months now. This is a scam site???? Dec 26, 2017 - 1 Star have an account with maxcfd and place a withdrwal about 2 m0nths ago and still pending..made all available calls and emails to no avail,,its a scam company..until my funds are returned i dont believe in maxcfd.. I am a pensioner and 1500E is 7 weeks pension and I am being charged 10% interest per month by Visa. I am becoming destitute, can you help in any way please. We recommend you discuss a chargeback with your credit car'd issuing bank. I Joined MaxCfd about 4 hours ago as i'm a student and interested in joining the bitcoin investment and came across article today supposedly done by bbc about bitcoin mining, the article led me to the site Max Cfd which i didn't know too much about but as soon as i started filling in my details a broker called me to try help me with filling in my details he had a french accent ad they requested my ID documents and wanted me to sign documents that they said they were going to send to me but insisted i make the deposit first and they'll contact me to make sure that my account details are correct and verified but after i made the deposit of $250/R3294.38 they said they would contact me and hung up the phone. Shortly after the call i decided to do more research on this company and came across a wide range of articles complaining about them and decided to make a Withdrawal request which, which with no surprise similarly to other complaints just remains as pending......i;m trying to get my money back as it is half my allowance for the month and need it I've emailed them and called them and they hung up on me when i told them i found out that they are thieves. Made a deposit to trade bitcoin for a bit of fun - initially put in USD$250. After requesting a withdrawal 3 weeks ago, and many subsequent emails and calls, I still have not received my funds. They asked for paperwork to 'confirm' my account (which I have refused). Each request is met with 'the concerned department is looking into it'. I'm not hopeful that I will actually receive my refund..
MAXCFD is a big scam. Why dont goverment take action on these stupid traders. Day to day these people are looting money from the ordinary people. 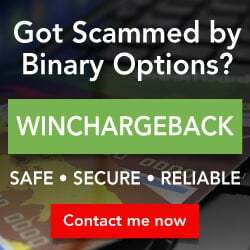 SCAM, MaxCFD will take your money and not payout anything! After creating an account to see what the site was about I got harassed with international phone calls to deposit money and start trading. I deposited 500 USD to activate the account. After investigating the account and a few skype calls, I decided I was not going to use their service. I requested a withdrawal of funds about 3 times, each responding with a message that makes it seem like they are processing the order but then they close the request as if it was never submitted! If there is a way to get my money back, I would appreciate the help. If you are planning on using MaxCFD, I would strongly advise not to. I never traded with MaxCFD but did lodge $250.00, after filling out loads of forms finally on November 14 I applied for a refund to get presents for Santa for my children for xmas 2017, nothing , I sent loads of emails and not even a reply, who could do this to a mother with 3 children, I WAS STUPID to have lodged the money but I WAS PROMISED that if i changed my mind I COULD GET MY MONEY BACK. CAN ANY ONE HELP ME PLEASE?